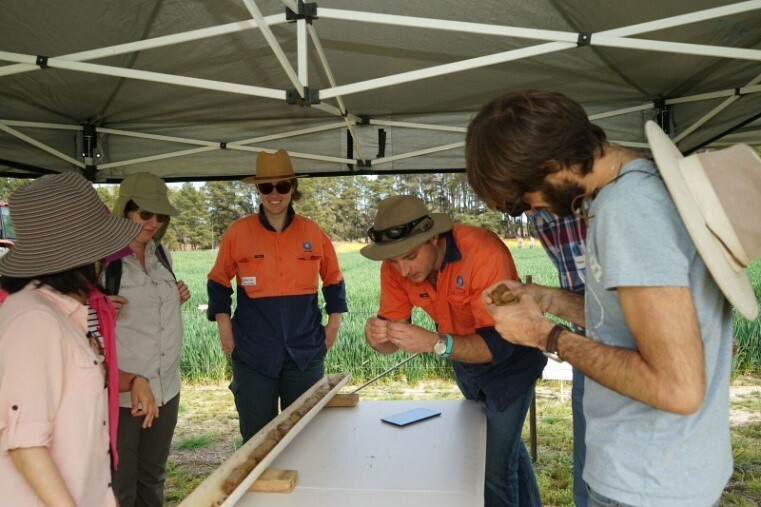 The International Society for Root Research (ISRR) recently held its 9th International Symposium in Canberra with the theme “belowground solutions to global challenges”. 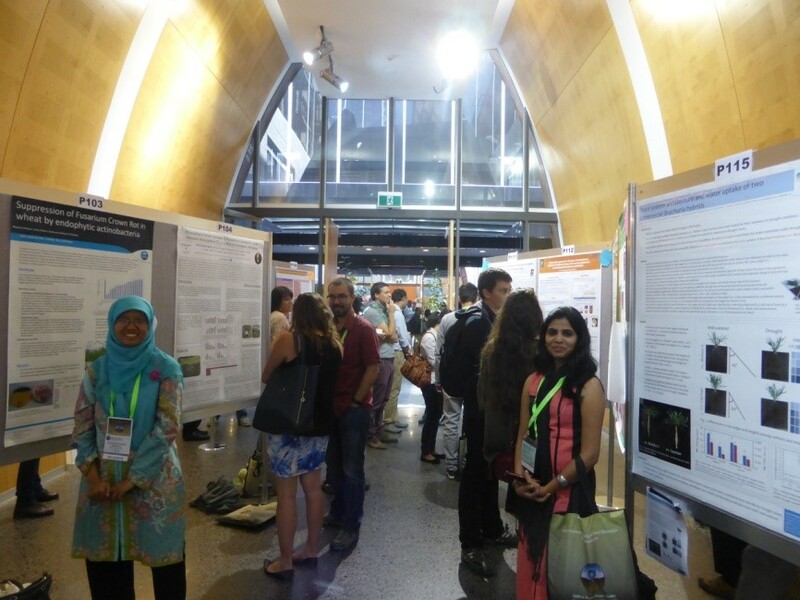 The meeting attracted delegates from 35 countries focused on improved root and rhizosphere function for different plant production systems. Among the 300 delegates were 70 students, a remarkable percentage that was in no small measure boosted by the role of the Student Ambassadors who were enlisted for the meeting. 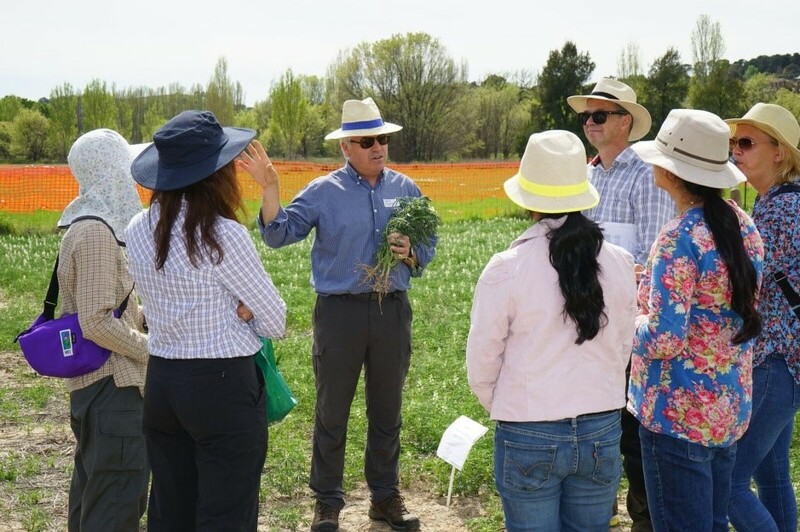 The Student Ambassador Program, for which the Crawford Fund was a key sponsor, supported 24 students from around the world, who are working on root-related research, to attend. Prior to the meeting, the students created their own web page, used social media to promote the symposium, ran a ‘Crazy Root’ competition to stimulate interest and wrote a guide for students to get the most from International meetings. The Fund was pleased to have a former Crawford scholar, Ritika Chowdhary, in the group. 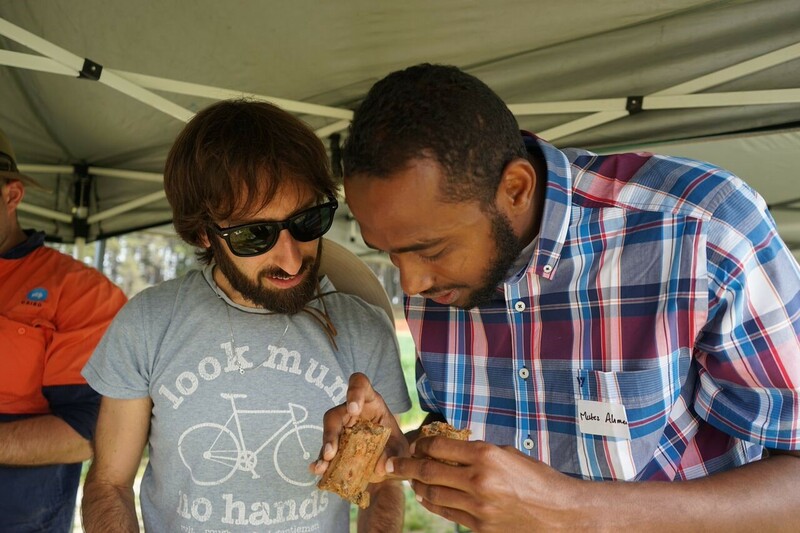 At the meeting itself, the students engaged in a training day on methods to evaluate root health and root growth in the field, learning simple ways to identify root growth constraints, the ‘core-break’ method to measure deep root growth as well as hand sectioning techniques to observe the internal anatomy of roots. 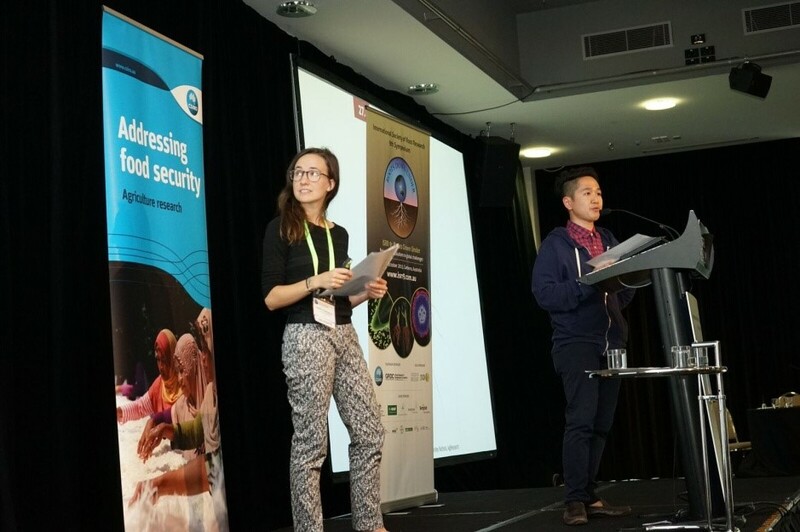 Most Ambassadors presented posters or oral papers, but also acted as co-Chairs for all of the sessions and delivered a final 40 minute wrap-up for the meeting where they discussed the highlights. These activities gave them maximum exposure and provided experience in presenting to a large scientific audience. The consensus, both from the Ambassadors and the broader delegates, was that the program was a great success, especially in the way that both students and female scientists were heavily engaged in all aspects of the meeting. The ISRR Committee has decided that the Student Ambassador Program will become a permanent part of all future meetings, and many other scientists indicated they would use a similar strategy to engage young scientists. “On behalf of the ISRR9 Committee, I would like to thank the Crawford Fund for the generous and willing support provided to young scientists to attend the meeting and to be integrated fully into the program. 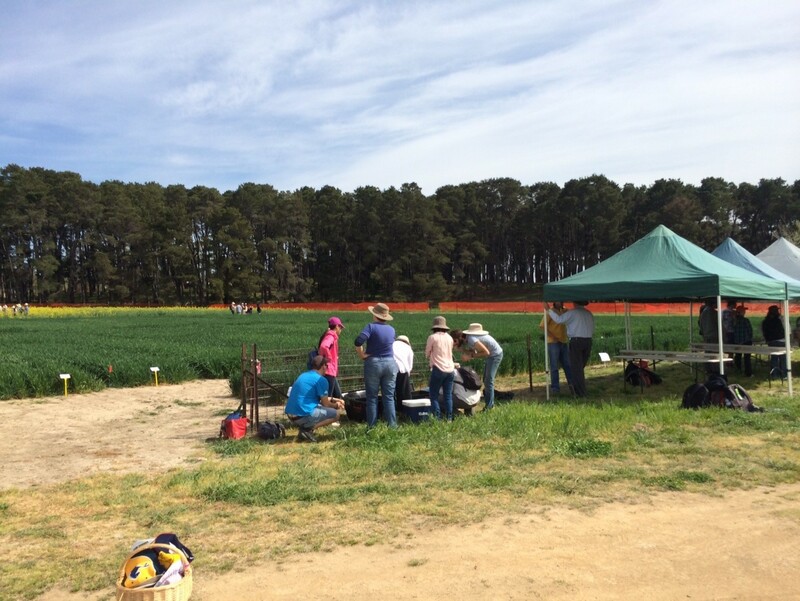 I have no doubt it was a pivotal experience for many of the students and will motivate them in their professional development,” said Dr John Kirkegaard, Chief Research Scientist, CSIRO Agriculture Canberra.